Two boys putting on skates while on frozen pond on the meadow. Some trees and houses, belonging to Edward Johnson and Elliott Johnson, in the middleground and background. 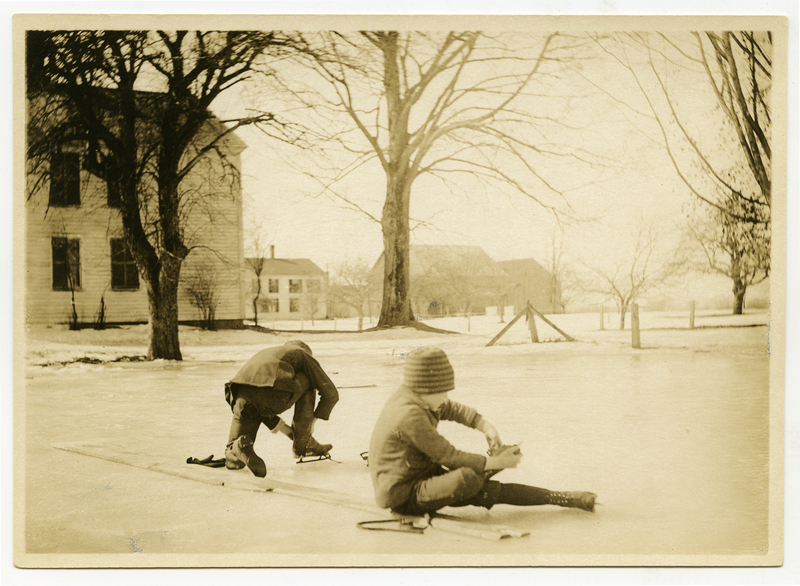 Johnson, Clifton, 1865-1940, “The skaters,” Digital Amherst, accessed April 23, 2019, http://digitalamherst.org/items/show/2275.